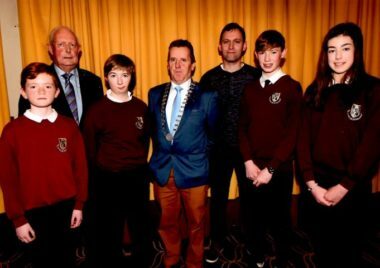 Credit Union News Ballapousta NS – The Fearless Four head for the School Quiz National Final. Best of luck to Ballapousta National School who are taking part in the National Final of the Credit Union School Quiz this Sunday 7th April 2019 in the RDS Dublin. Congratulations to Anna Hickey, Jack McCarron, Conall Halpenny & Callum Mc Kenna the QUIZ Team members on getting to the final. Amazing achievement.